Let's survive the day. : Limited edition anxiety merch by Matt Darling. 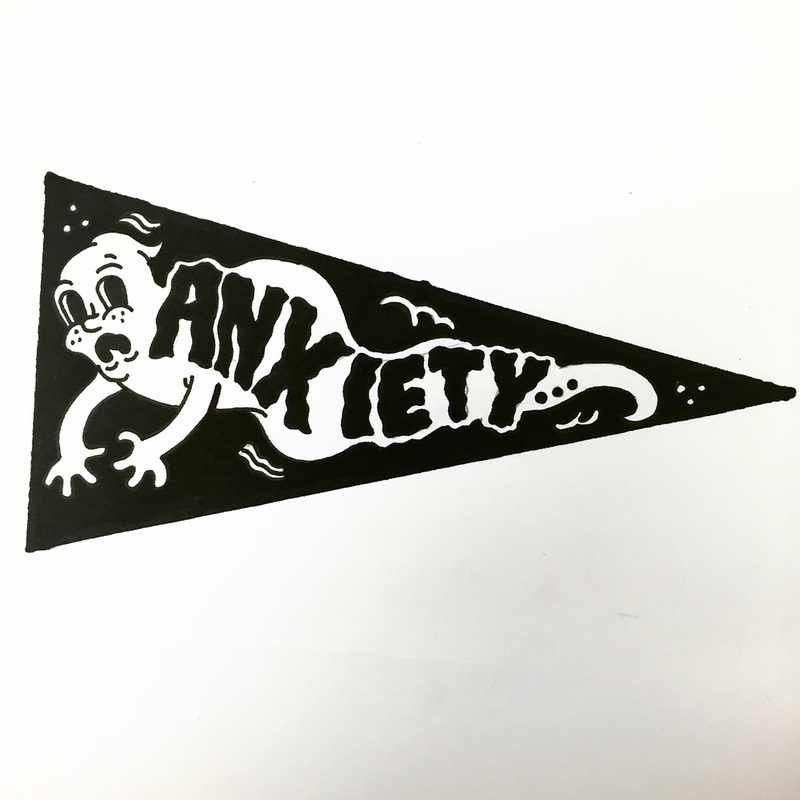 My buddy J sent me this limited edition anxiety banner, which lead me to Matt Darling's shop, called Bad Vibes 4 Lyfe. 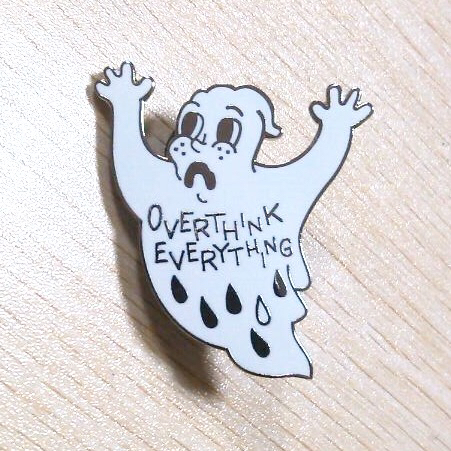 I also really like this "overthink everything" ghost pin. Sometimes you see stuff like this, and you just feel connected to whoever made it. I just think, yes.